Cooking the Books has for the past four years (I can’t believe we’re coming up on four years and more than 40 authors, editors, and agents. WOW.) been about other authors, not me. That’s the way I wanted it — it’s a forum for me to talk to others about their craft, their books. But this month, Updraft, my first novel with Tor, is finally out! … and while I am interviewing author Ilana Myer (Last Song Before Night) later in the month, a few folks asked me if I was going to put myself in the hot seat. They seemed… overly interested in seeing me there, in fact. So, to make the seat even hotter, I knew there was one person who could grill me properly in the spirit of Cooking the Books… Elizabeth Bear. It is possible that I should have told her before the interview began that she was the one doing the interview… but — well, you’ll see. We got along fine and I’m still alive! Updraft launched from Tor on September 1, and we’re still in the wilds of Uptember — this week and next I have a book event at Mysterious Galaxy, San Diego, another at University Bookstore, Seattle, then the Baltimore Book Festival September 25-27. (more places & dates to come!) Meantime, I’m loving interacting with new readers all over the internet – especially hearing from them online (This is a huge thing you can do for the writers whose work has rung a bell with you — tell them you like their work, and then tell EVERYONE.). Grab a plate and hit play to hear my answers! 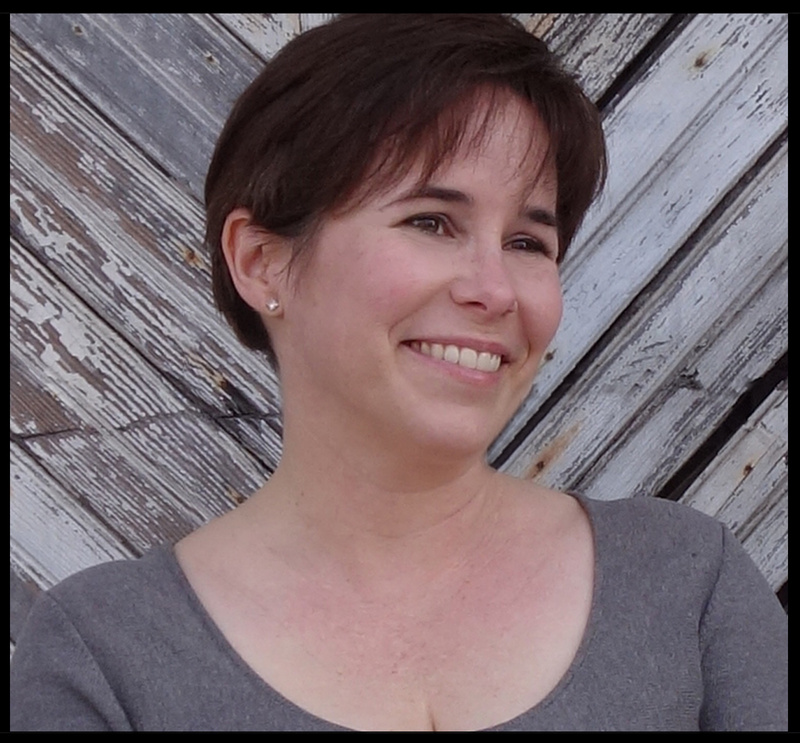 Enjoy the latest Cooking the Books, with Elizabeth Bear interviewing Fran Wilde (that’s me!). An hour where we don’t always talk about food, but we still have fun. Heartfelt thanks to Kristin Centorcelli, John DeNardo, Paul Weimer and everyone at SFSignal for the linklove, the new set of pans, and the industrial cleanup for the last show. Enjoy your delicious Cooking the Books podcast below! And I’d be in big trouble if I didn’t include a recipe of my own. This one is for apple crisp, because apples are among Kirit’s favorite foods. I make it gluten-free, but you can use regular flour in place of the GF blend. Place apples in large, shallow baking dish and toss with lemon juice and sugar. Cover with oat mixture. Bake until top is browned and apples are tender. Serve warm or at room temperature. Ice cream is a fine topping.Serves 8. 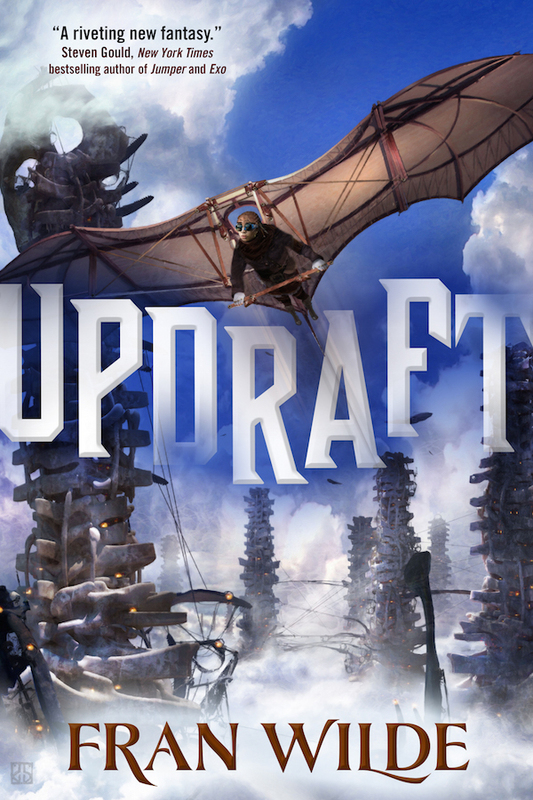 Fran Wilde’s first novel, Updraft, debuted from Tor Books on September 1, 2015. Her short stories have appeared at Tor.com, Beneath Ceaseless Skies, Uncanny Magazine, and in Asimov’s and Nature. Fran also interviews authors about food in fiction at Cooking the Books, and blogs for GeekMom and SFSignal. You can find Fran at her website, Twitter, and Facebook. Elizabeth Bear’s novels and short fiction to-date represent an astonishing body of work: twenty-six novels (including collaborations), one hundred short stories, and two short story collections. 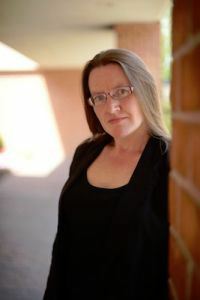 She has received awards including the Locus Award, the Audie Award, Theodore Sturgeon Memorial Award, the John W. Campbell Award and four Hugo Awards. You can find her on twitter, tumblr, and her website. Next Uptember, Week 4: Baltimore Book Festival & Main Point Books!